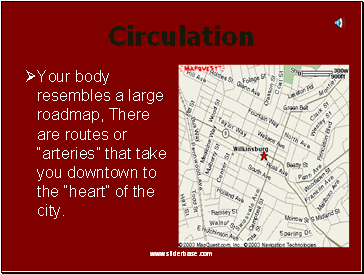 Your body resembles a large roadmap, There are routes or “arteries” that take you downtown to the “heart” of the city. 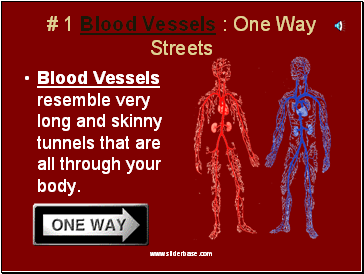 Blood Vessels resemble very long and skinny tunnels that are all through your body. 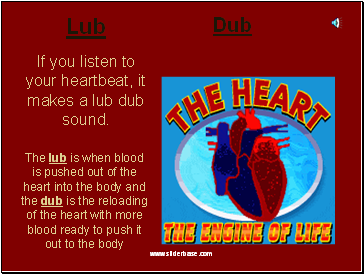 If you listen to your heartbeat, it makes a lub dub sound. 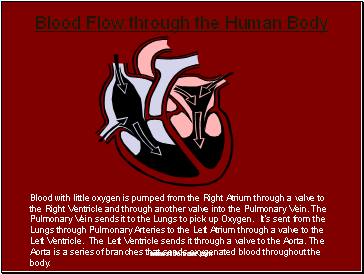 Blood with little oxygen is pumped from the Right Atrium through a valve to the Right Ventricle and through another valve into the Pulmonary Vein. 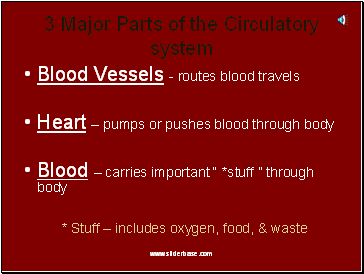 The Pulmonary Vein sends it to the Lungs to pick up Oxygen. 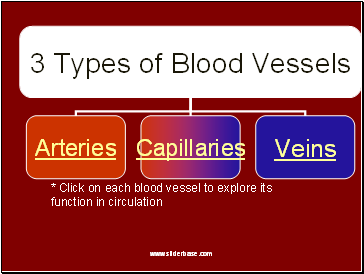 It’s sent from the Lungs through Pulmonary Arteries to the Left Atrium through a valve to the Left Ventricle. 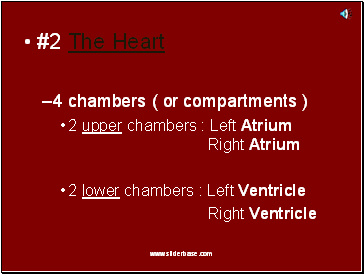 The Left Ventricle sends it through a valve to the Aorta. 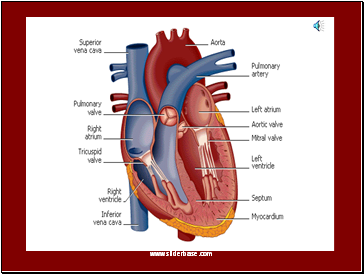 The Aorta is a series of branches that sends oxygenated blood throughout the body. Hold out your hand and make a fist. 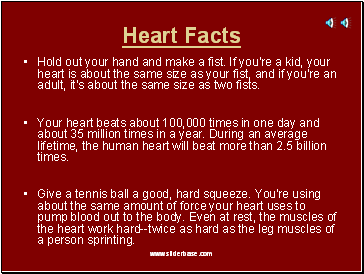 If you're a kid, your heart is about the same size as your fist, and if you're an adult, it's about the same size as two fists. 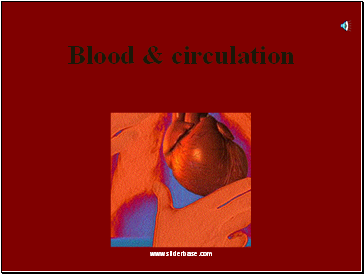 Your heart beats about 100,000 times in one day and about 35 million times in a year. 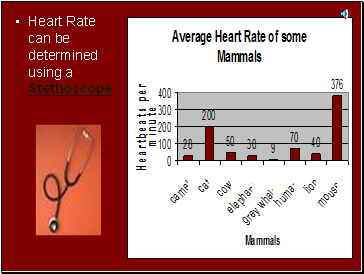 During an average lifetime, the human heart will beat more than 2.5 billion times.